Papers will be particularly competitive if they demonstrate effective use of innovative theories, methods, and/or attention to unique geographic, cultural, and political contexts. Submissions for the Student Paper Award competition can be under initial review at a peer-reviewed journal, but cannot be already accepted (in press) or published in a peer-reviewed journal. 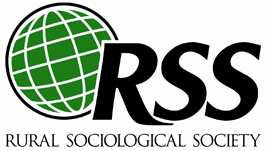 In order to compete, all authors must be members of the Rural Sociological Society. The winner(s) will receive a certificate and monetary award. The winner(s) must present the paper at the RSS Annual Meeting in 2019. The award will be presented during the SAFRIG Business Meeting at the 2019 conference. Submissions for this competition should be sent as an e-mail attachment by May 15, 2019 to Dani Deemer at [email protected]. The previous year’s award winners are asked to serve, alongside our RIG’s chairs, as reviewers for the following year’s submissions. Award winners are expected to attend the annual meeting as well as the NRRIG business meeting. Paper award winners are also expected to present their winning paper at the annual meeting. The William R. Freudenburg Award of Merit is presented to recognize exceptional contributions to the sociology of natural resources and the environment. The award is given to recognize an outstanding legacy / collective body of work that has demonstrably impacted natural resources and environmental sociology. Recipients will have the following qualifications: outstanding research and scholarship as evidenced not solely by numbers of publications, but their impact: simply put, we are looking for recipients who have substantively affected the trajectory of thinking within natural resources and environmental sociology. Such impact may also be evidenced via application of work beyond the academy, such as work with a natural resources agency, organization, or other partnerships. Other contributions to the NRRIG or sociology of natural resources and environment, such as an outstanding legacy of outreach, graduate student mentorship, and/or instruction are also envisioned as important criteria for consideration. Nominees are not required to be present or past members of the NRRIG.